LEXINGTON, Ky. (Jan. 25, 2019) — For any incoming student, arriving at the University of Kentucky can be an overwhelming experience full of excitement and exploration. The number of "firsts" new students experience when they arrive are often too high to count and even harder to remember. 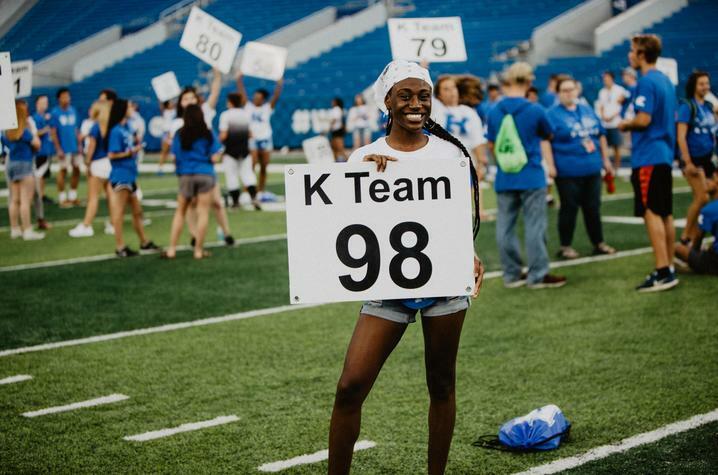 While some firsts can be harder to remember than others, there are some that are impossible to forget, like a student's first K Week and meeting the K Crew members who made it possible. 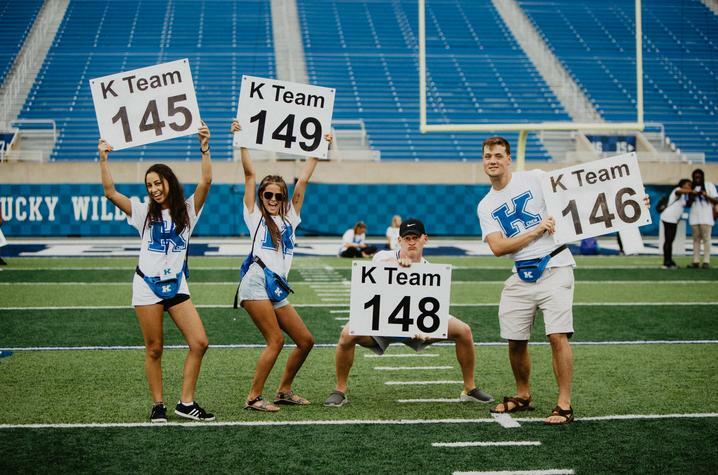 Helping new students with their transition into college, K Crew plays an important role in shaping the memories that last a lifetime for students across campus. The Student Services Center is currently accepting applications for 2019 K Crew. K Crew leaders will have the opportunity to mentor and lead incoming students during K Week, gain leadership experience and meet people all across campus. Interested students can apply to join K Crew on BBNvolved. The deadline to apply is 5 p.m. Friday, Feb. 8. Interviews will take place Wednesday, Feb. 13, and Thursday, Feb. 14. The position includes a $50 stipend upon successful completion of required training sessions and participation in K Week events. To learn more about K Week, click here. Any additional questions can be sent to KWeek@lsv.uky.edu or call 859-257-6597.